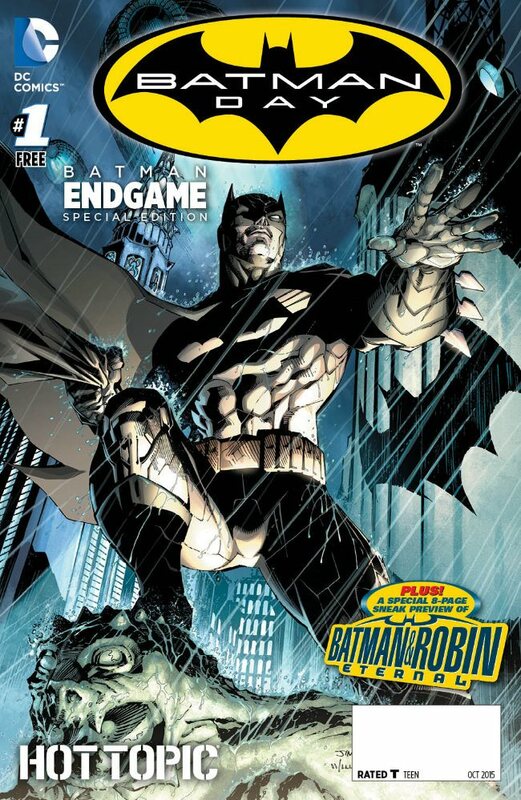 DC Unveils Fourteen Exclusive Covers For "Batman Day"
Ahead of their annual "Batman Day" extravaganza, DC has released images of fourteen exclusive variant covers featuring the Dark Knight himself. 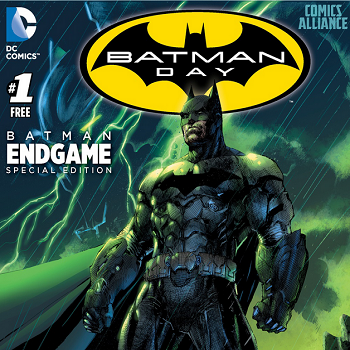 Any comic book fan worth his salt is more than familiar with "Batman Day" by now. 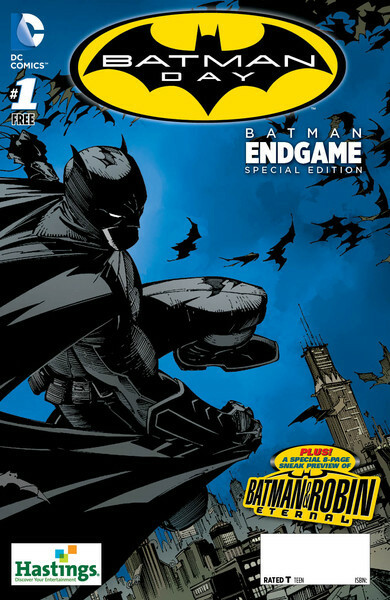 DC's yearly celebration of all things Dark Knight has been rockin' and a rollin' spans across not only the written page, but video games and movies as well has been . 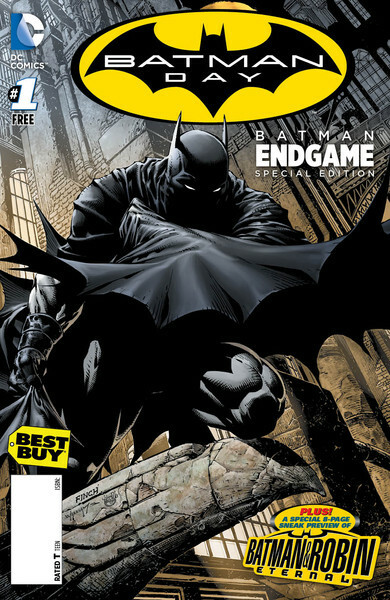 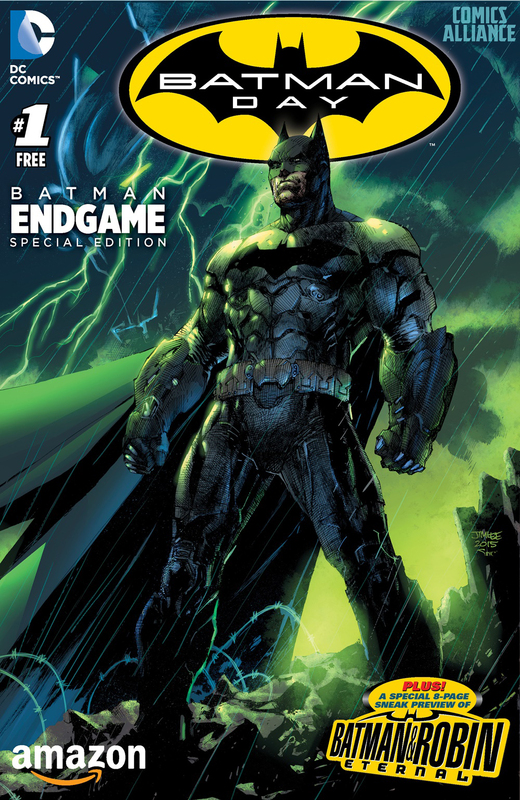 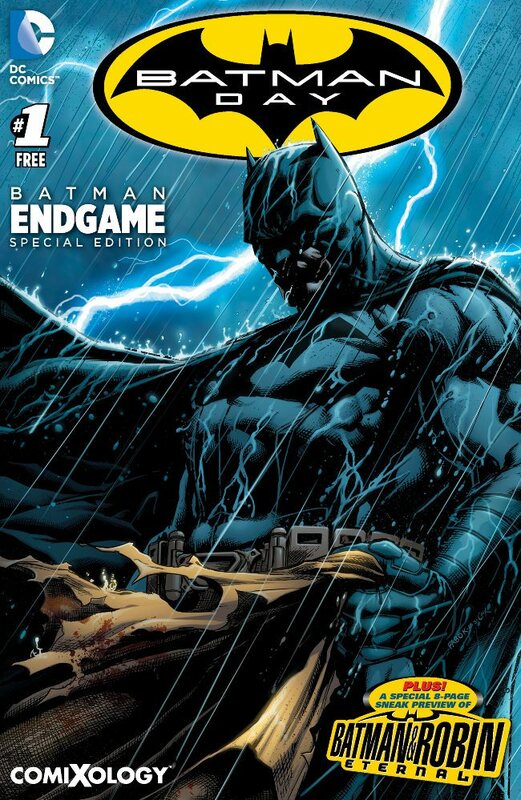 Transpiring on September 26th this year, previous Batman artists and writers from all eras will be making the rounds at book stores, libraries, and comics shops across the country, signing autographs and handing out limited edition copies of Batman Endgame: Special Edition #1. 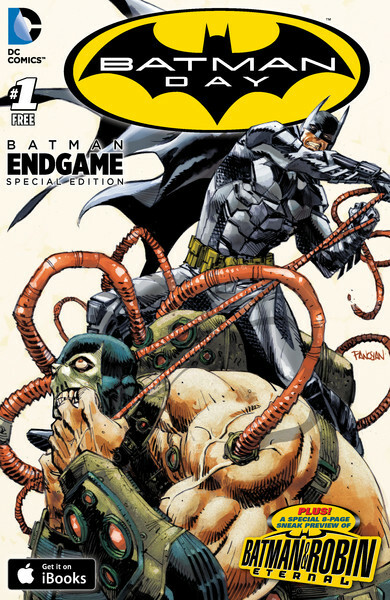 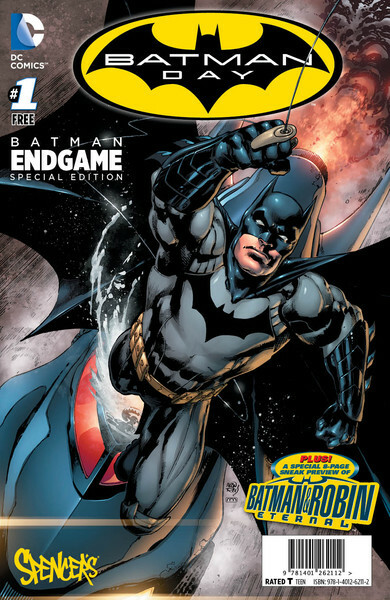 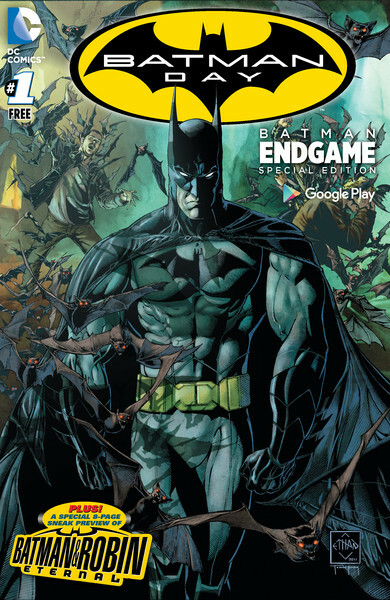 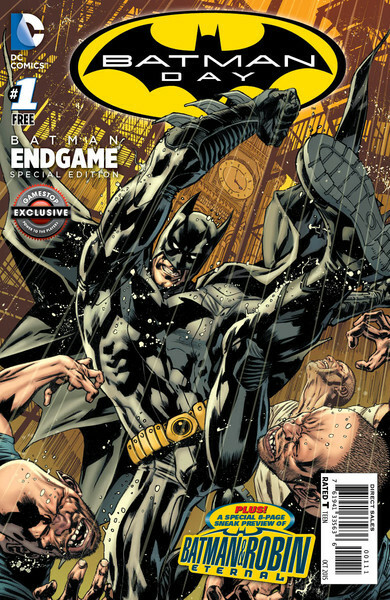 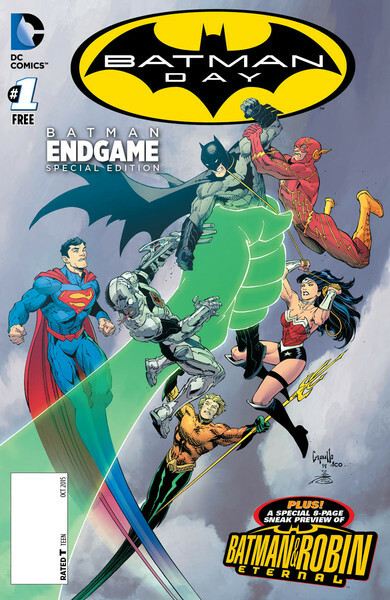 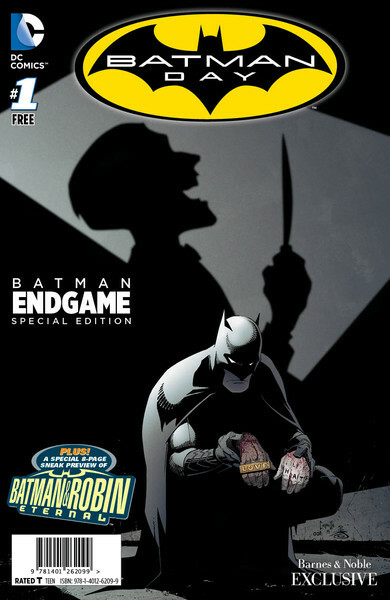 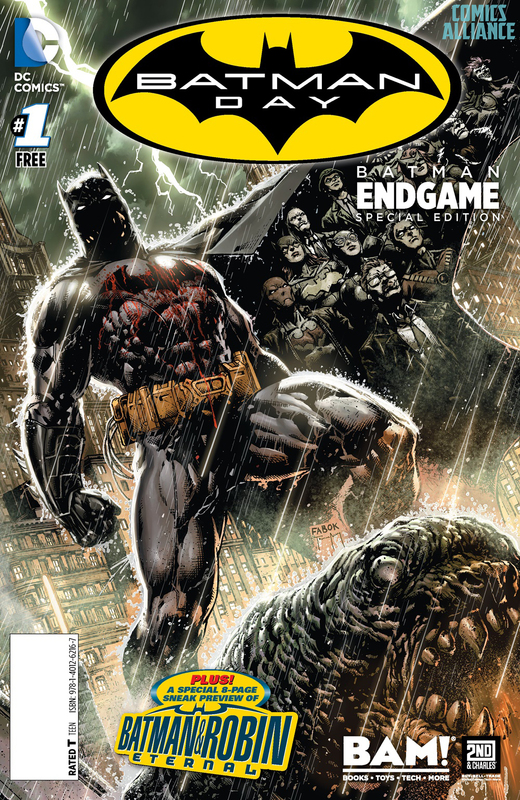 A preview of the upcoming series Batman and Robin Eternal, Endgame will feature a variety of covers dependent on each retailer, with everyone from Jason Fabok to Jim Lee contributing their own designs. 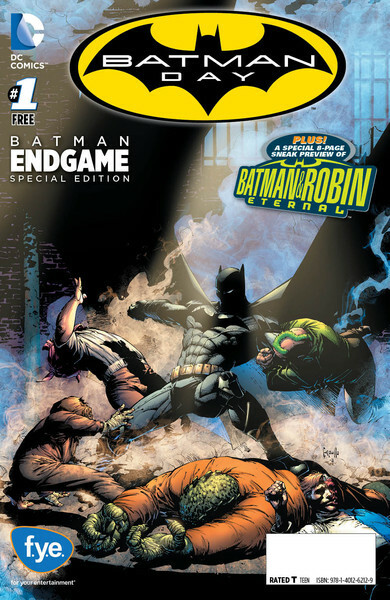 Check out fourteen of the exclusive covers below, as well as the full list of scheduled meet and greets. 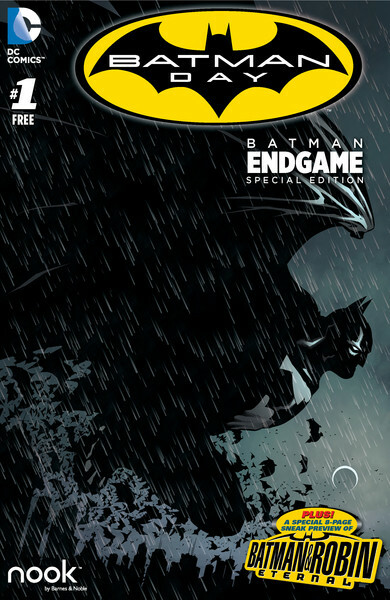 Keep up to date on all things Batman Day over at DC's official website.